In my previous blog post I had mentioned about the CDC Session I had attended. One of the important points which was pointed out during the session was the realtion between the database recovery mode and CDC in sql server. When a Database is in Bulk logged or simple recovery mode and CDC need to be performed on the tables in the database, the recovery model changes to fully logged. The reason being the CDC has to read the log before the log backup otherwise the whole purpose of CDC would be lost. One more key point need that need to be kept in mind is that there is no overhead for CDC in sql server. The other topic which I would like to discuss in this post is that of Team foundation Server 2013. There has been quite a bit of changes to TFS 2013. 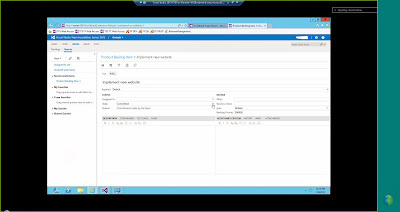 One of the main aspect of TFS 2013 is that there is now a web based interface for working with TFS. 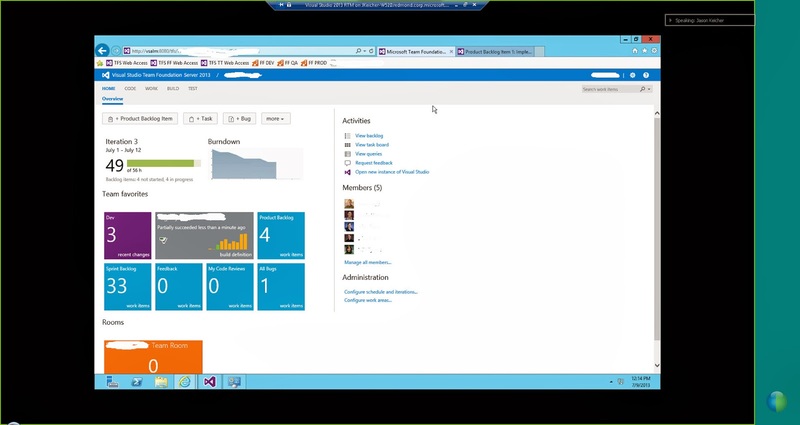 When you log into TFS 2013 on the web there is a dashboard which presents menu options such as Home, Code,Work,Build, Test. There are online team rooms which people working on a project can chat/discuss about the different changes that happen to the code base. It provides a collaborative way of working by using the web interface and provides a list of activities that need to be performed along with the members who belong to the project. Please see the couple of images below to get an idea of the web based interface for TFS 2013. Labels: CDC, SQL Server 2008, TFS - 2013, Visual Studio 2013.